Notification of the passing of WWII veteran, retired NWA pilot and RNPA member Captain Clarence R. Ahlberg. 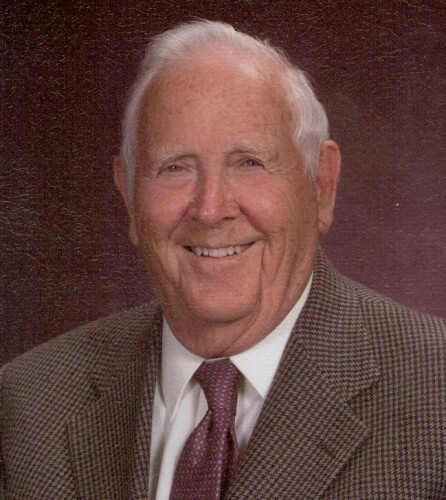 Born/raised in California, Clarence Russell Ahlberg was 88 years of age at the time of his passing March 20th. Captain Ahlberg hired on with Northwest 02-05-1948 and had worked as a Mechanic, a Master Mechanic, and a Flight Engineer prior to retiring as a Captain at the mandatory age 60 in 1984. He was preceded in death by his wife Betty Jane who died in July 2001. Clarence R. Ahlberg, age 88, of Burnsville, MN and Chandler, AZ, walked into Glory on March 20, 2013, to be with his Lord and Savior. Preceded in death by wife, Betty Jane; his parents, brothers, Maynerd and Melvin Ahlberg and son-in-law, Chuck Beery. Survived by children, Sandy Beery, John T. Peterson ( LaJean ), Nancy Anderson ( Jim ) and Susan Nash ( Joel ); 14 grandchildren, 17 great-grandchildren and 4 great-great-grandchildren; sister, Margaret Nelson and sister-in-law, Lenore Ahlberg; nieces, nephews and friends. Clarence was a retired pilot with Northwest Airlines. Services: Service Tuesday, March 26, 2013, at 11:00 AM at Emmaus Lutheran Church, 8443 - 2nd Ave. S., Bloomington. Interment Ft. Snelling. Visitation is one hour prior to service at the church. Memorials preferred.